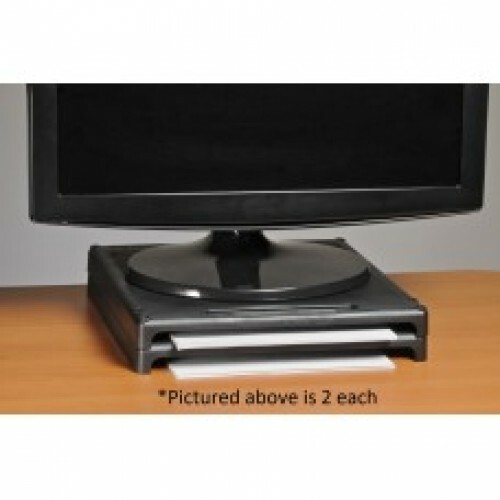 The VuRyser1 is a simple, inexpensive monitor riser that allows you to place your monitor at a more comfortable viewing level. This stackable riser allows monitor adjustments in 1" increments or can be stacked with the 2" high VuRyer2 to achieve the most optimum height. 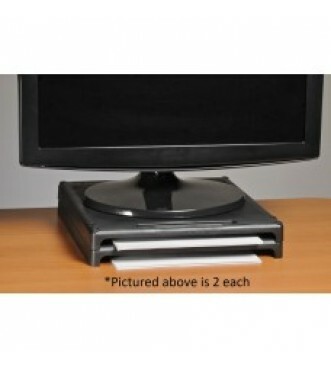 The riser also has an open slot for convenient storage of paper, post-it notes or files.